Say Hello To Issue 2 for 2017! Well, it’s official, Summer is over and we’re already mid-way into Autumn—hard to believe isn’t it? As we head toward the middle of the year, it’s time to check-in on how your business is travelling and consider any changes you may need to implement now before heading into a new financial year. 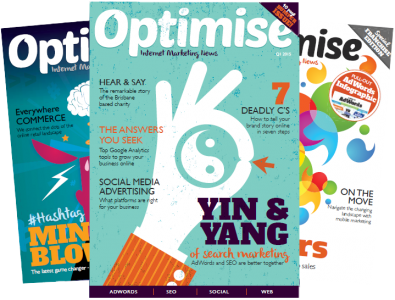 And what better way to do so than with our latest issue of Optimise? 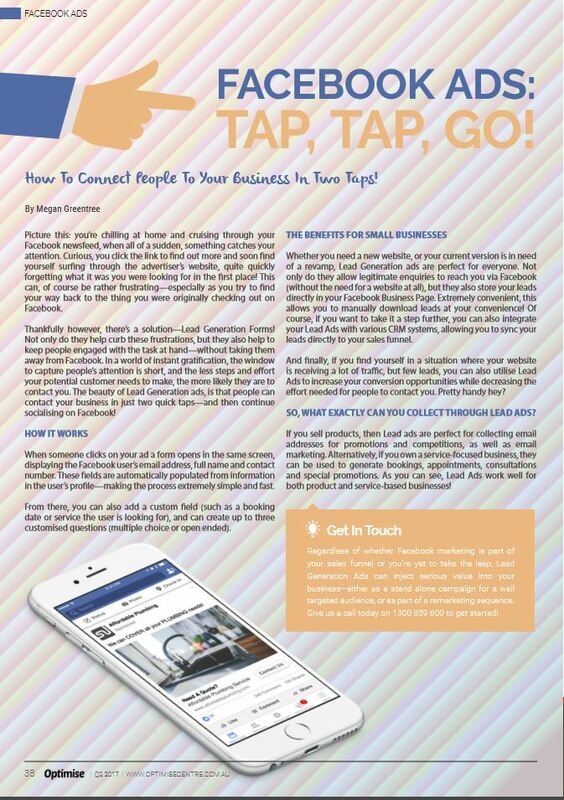 Jam-packed with tips, tricks and helpful advice, this issue will give you plenty of business insight no matter your industry! In particular, I recommend checking out our cover special: ‘Lights, Camera, Sales: Get your brand on the video bandwagon or get left behind!’ No doubt you’ve heard us share many times about the importance of implementing video into your marketing, but the reality is, your business truly is missing out if you’re not utilising the power of video content! 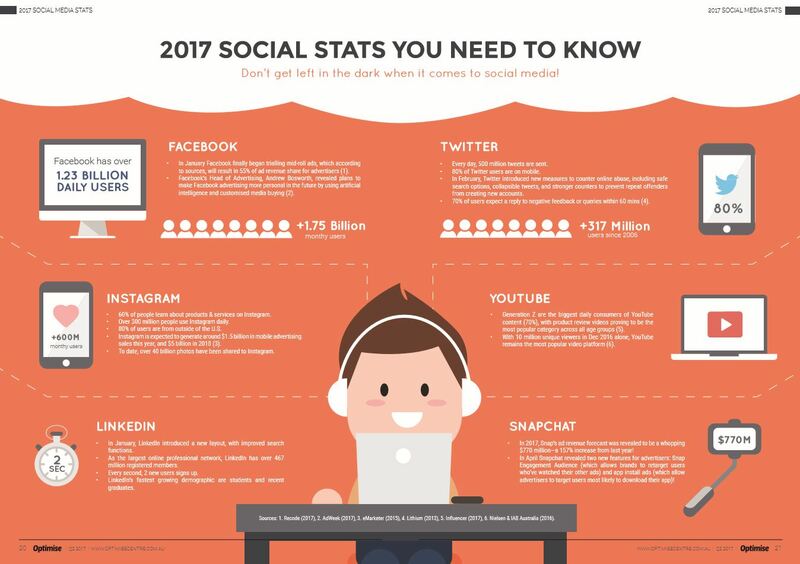 If you’re wondering how to get on-board without the marketing budget of a massive corporation, don’t worry—it’s still possible to harness video marketing no matter the size of your business! 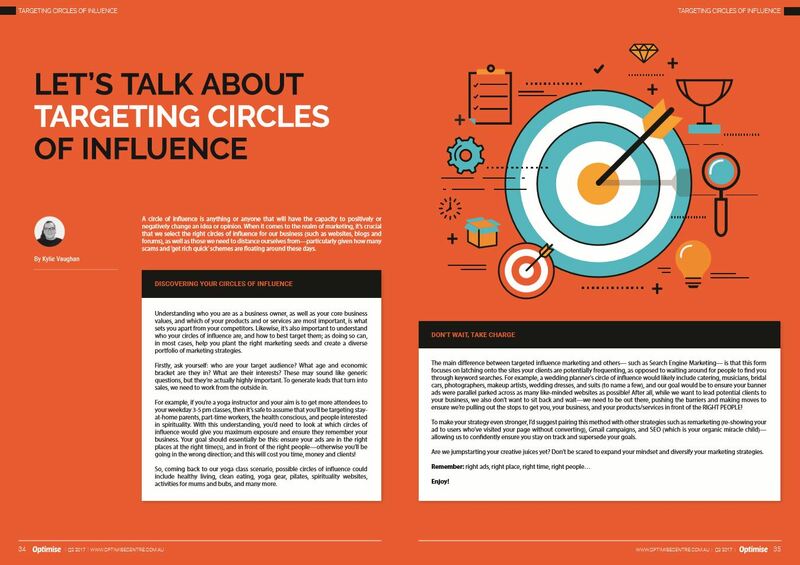 Speaking of important insights, make sure you also check out our articles on steering clear of phishing attempts in 2017 (pages 14-16) as well as the top reasons your business should be on Facebook (pages 6-7); and once you’re done there, head on over to page 17 where we ask the question: are recent technological advancements in Artificial Intelligence all they’re cracked up to be, or simply making us lazier? Have a read and let us know what you think! And finally, if you’re looking for general industry news and insights on everything SEO, AdWords, web design and social media, don’t worry, we’ve got you covered! 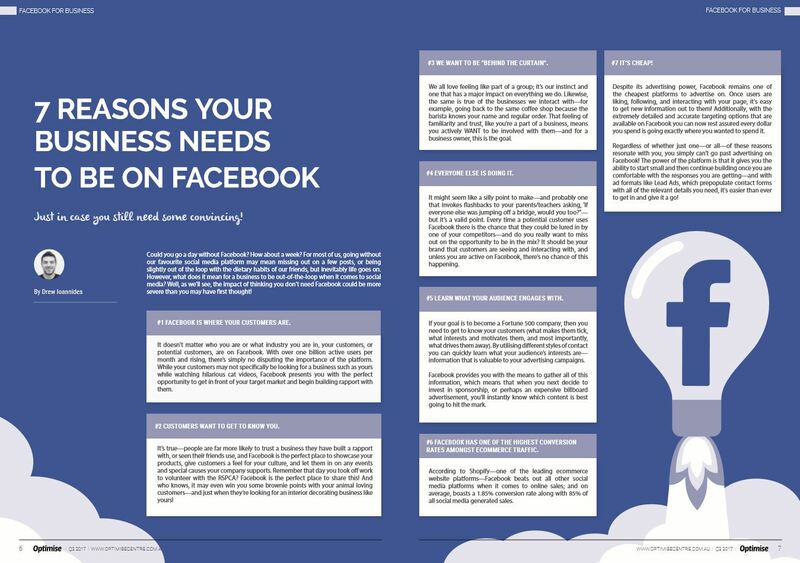 From the latest on Facebook’s Lead Generation ads, to tips on steering clear of common SEO and website design myths, to the benefits of Text-Message Extensions, there’s plenty to sink your teeth into. 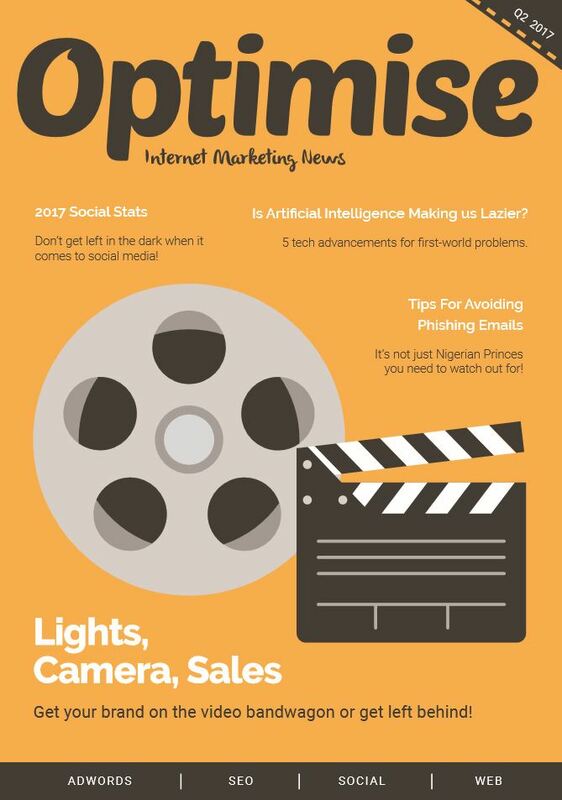 I hope you enjoy our latest issue of Optimise, and as always, if there’s anything you’d like to see in our future editions be sure to let us know! READ OPTIMISE Q2 2017 HERE! Q4 2016 – Read it now. 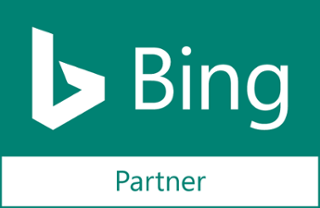 We offer even more online marketing resources at our Optimise eResource Centre and SponsoredLinX Blogs.